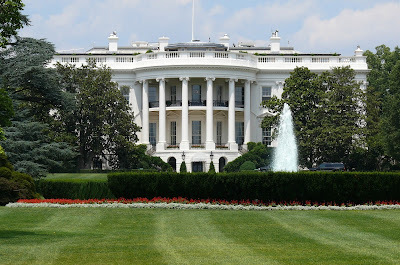 LUXE Models Blog: Do Celebrities Have the Power to Influence Politics? Do Celebrities Have the Power to Influence Politics? With the US 2016 presidential election creeping every closer, this week Luxe Models thought we’d ask whether a few celebrity endorsements could swing the result. Celebrities are aspirational figures. People look up to them, and the role model status of famous faces can translate into big bucks, as companies often hire celebrities to serve as the faces of their latest products. The most obvious one we can think of is Cheryl Fernandez-Versini. Since she was hired as the face of L’Oréal, she has generated attention, press and above all revenue for the beauty firm. So we know that celebrities have power, but do they have the power to influence who’s elected to government? We may be about to find out. Even though it’s over a year away, campaigning for the 2016 US presidential election has already begun. The presence of one man outrage-machine Donald Trump, who’s running to represent the Republican Party, has already made this contest one to watch! Speaking of Republicans, they’ve managed to rack up a few celebrity endorsements so far, but we doubt they’ll do the GOP any good. Chuck Norris is the most famous person to endorse a Republican candidate so far. In contrast the Democrats have attracted heavy hitters including Beyoncé, Lena Dunham Jennifer Lopez, Snoop Dogg and Kerry Washington. So if celebrities have the power to influence politics then as things stand, the Democrats look set to sweep the board in 2016. Yet how useful is the endorsement of a celebrity of Beyoncé’s calibre? This issue was recently analysed by the Guardian. The article looked at a study that was conducted to determine how much of an effect Oprah’s endorsement of Barack Obama had on the 2008 election, which he won. It found that “Obama did better than expected in areas where more people subscribed to O magazine.” For any of you that didn’t already know, O is the personal magazine of Oprah Winfrey (yeah, she’s that awesome)! The study found that the more famous the celebrity, the more influence they had in the political arena. This isn’t surprising to us here at Luxe Models because it makes sense; people like Oprah Winfrey are trendsetters in everything that they do, why wouldn’t they be able to set political trends too?